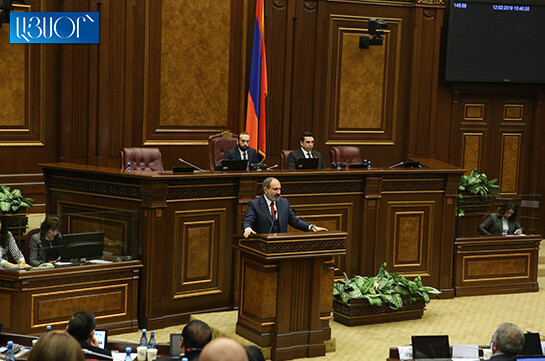 The Armenian side sees exclusively peaceful settlement of the Karabakh conflict but it does not mean that Armenia must not be prepared for war, Armenian Prime Minister Nikol Pashinyan said at the NA today, asked by PAP MP about Azerbaijan’s aggressive rhetoric. Pashinyan said Azerbaijan seems to be more inclined toward military resolution of the issue. “We think that first it is necessary to establish atmosphere for peace. Today there is no such atmosphere in the region and one of the reasons of it is Azerbaijan’s military rhetoric. If we expect Azerbaijan to stop its rhetoric, naturally we must register our non-aggressive position. But it does not mean that we are not going to give equivalent response to the displayed aggression,” Pashinyan said. As to the ‘preparation of peoples for peace,’ Pashinyan said that it refers to the peoples of both Armenia ad Azerbaijan. “Thus if in one country the government is not preparing people for peace, the government of the other country cannot do it too. We have stated previously that we will act equivalently to the situation. This cannot be one-sided movement. If our neighbor is preparing people for war, our response must be equivalent. 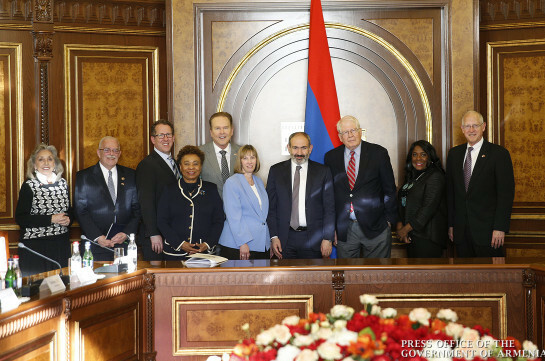 We hope, our neighbor will refrain from such working style,” Pashinyan said.